One advantage of being an entrepreneur or business owner is that you don't have to be an expert in everything. All you need is a good marketable idea. Then, you can hire professionals to help with sales, accounting or areas that aren't your strong point. Search engine optimization - SEO presents a similar challenge. Most executives are busy handling day-to-day operations. They don't have time to study Google's SEO handbooks or research industry trends that change overnight. Hiring a dedicated agency is a wise investment in your company's success. 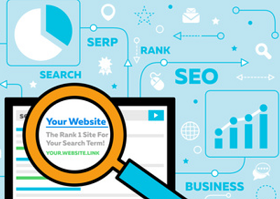 For optimal results, follow these tips when you're selecting an SEO provider. Before you hire an SEO service, make sure that you have a clear idea of your goals. What do you need to accomplish? Effective SEO practices can increase your customer base, sales numbers and ranking in Google search results. Many companies want to enhance their website promotion activities to attract traffic from specific customer groups. Experts can also help with reputation management and link removal. Do you want a one-time SEO overhaul using your existing web content, or do you need ongoing services that produce long-term results? Naturally, some hiring requirements are more important than others. In general, you should consider these points before you make a decision. Talk to candidates so that you can get a feel for their SEO strategies. Determine whether you prefer a local company or if you are comfortable working with a remote SEO agency. Consider your communication style. Does your company need frequent updates to include in weekly reports, or is it more convenient if SEO work is done in the background? 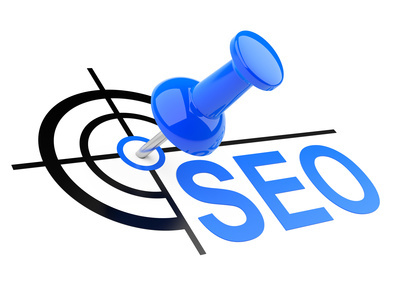 Find out who will work on the project if you hire the SEO agency. You don't want to be passed to an intern when you thought you'd be collaborating with the owner. Ask about the consultant's qualifications. Ideally, anyone you hire should have at least three years of experience. Gather business references, website portfolios and examples of work from other clients so that you can evaluate each candidate. Before your first meeting, give candidates information about your website and SEO goals. That way, you can go over possible strategies during the consultation. Ask candidates how they intend to achieve your goals. Their answer reflects the company's level of transparency. Never hire a firm that makes astounding promises or claims to use SEO methods that can't be revealed to customers. The answer should outline concrete steps for improving your site's rank and traffic over time. Cover these points as well. Find out what link building and website promotion strategies the agency will use. Have the professional analyze your website and statistics dashboard to determine if on-page improvements are needed. Ask how the firm will research keywords and industry trends to create a successful SEO campaign. Finally, inquire about the price. SEO is a business investment. It's not an unnecessary luxury. Weigh the benefits and drawbacks of one-time SEO makeovers and ongoing services. A full-blown campaign will cost more, but it will produce greater results that are sustainable. Find out if you need to sign a contract, and determine how much you pay must upfront. The quality of SEO services can vary widely. Make sure that you know exactly what you're getting and how much it will cost before you compare prices. For companies in all industries, this is a critical hiring decision. Consider the most important points for you and your company. Then, look at the big picture. That way, you're more likely to choose the SEO expert who's right for the job.